How satellite images revealed agriculture could be possible in one of the driest environments on the planet. 30% of the world's freshwater reserves are locked away underground. 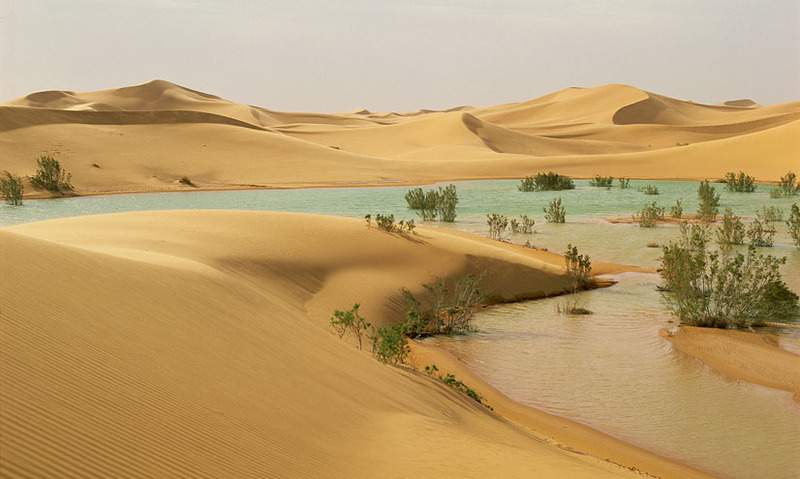 In 1981, Dr Farouk El-Baz discovered freshwater beneath the Sahara, using radar photography. Since 1981, 540 wells have been dug in the area of land between Egypt and Sudan. In parts of the Sahara there are now patches of green land where farming is possible. The Sahara is one of the driest places on our planet. For the people who live here, finding water is a matter of life and death.